Infinitely better than you have ever! 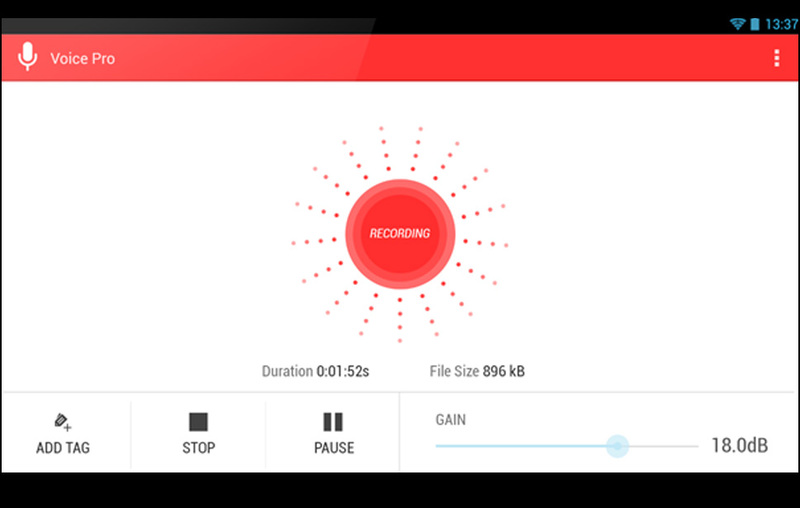 RECORD AND CONVERT MORE THAN 200 AUDIO/VIDEO FORMATS ALL OFFLINE ! Export it by Email, SMS or any other sharing service. 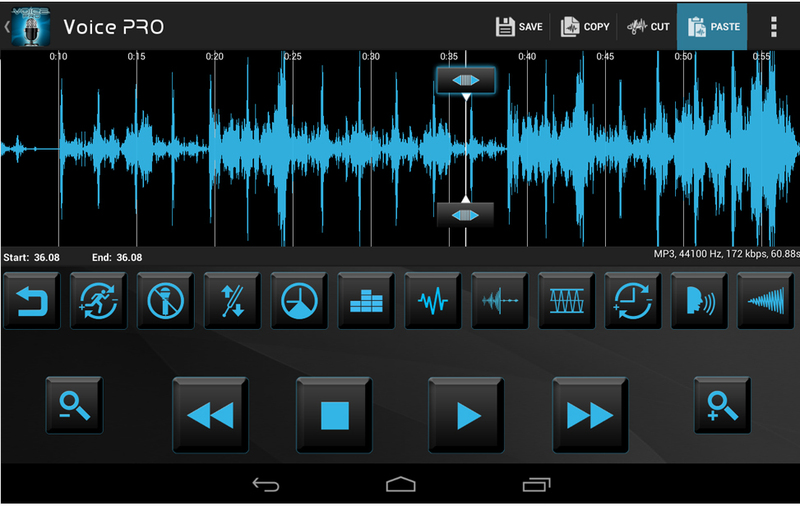 By adopting this application you will soon realize its potential and multiple functions which will allow you to make practically all you need and want to do with your records, like edit, cut, adjust, eliminate disturbances and noises and insert background. 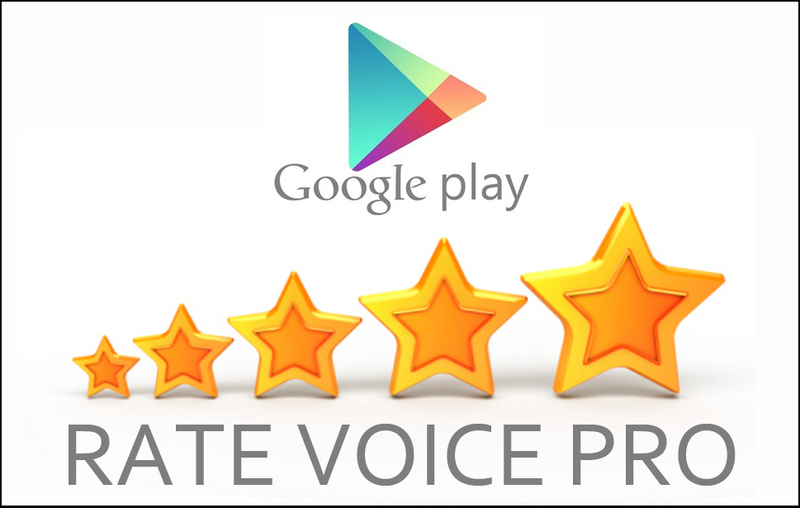 Voice PRO is present in all major Android’s stores and is in the TOP 20 sales of Google Play store. 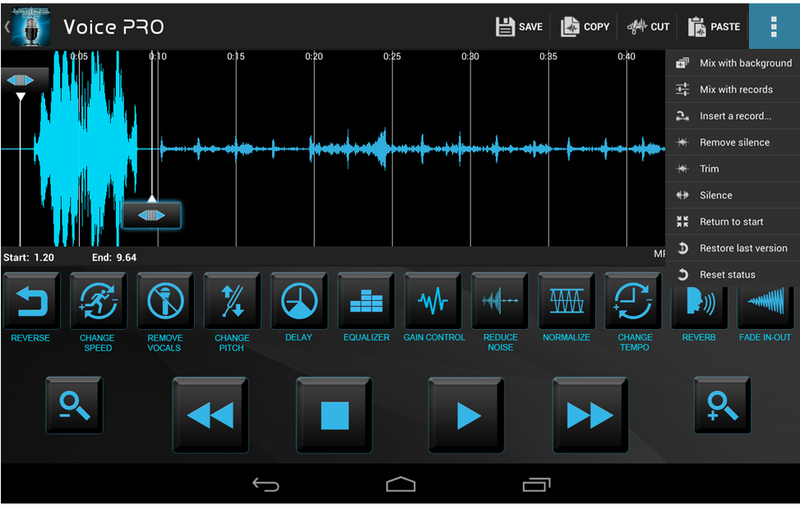 Voice PRO will have a complete change over with intuitive design and easy to use starting from Version 4.0". You can upload your music and get in touch with other people. 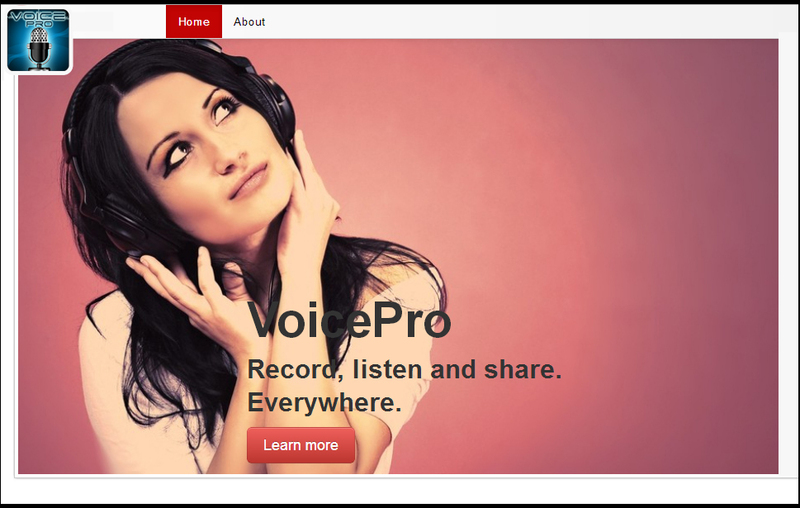 Make friends and meet other singers, musicians and Voice PRO users. We are working on new effects and new features. If you have any suggestion, please participate in the discussion that we have opened in our Google community. 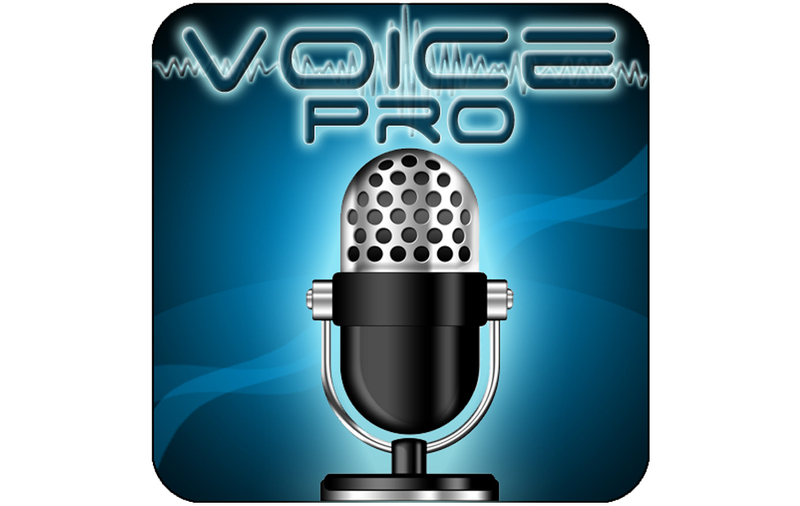 Reviewing Voice PRO (if deserved) will allow you to receive a payable plug-in for free. Record can be converted into 40 languages. Share on Facebook, Twitter and Voice PRO Cloud. Receive Bluetooth files directly into Record list. Convert YouTube video to audio file. Voice Pro is totally compatible with the majority of systems presently existing on the market. In addition, we are glad to confirm that we are ready to supply to our clients 24 Hours assistance with an average “Success-time” of 40 minutes. New functions: Trim, Silence and Remove Silence. 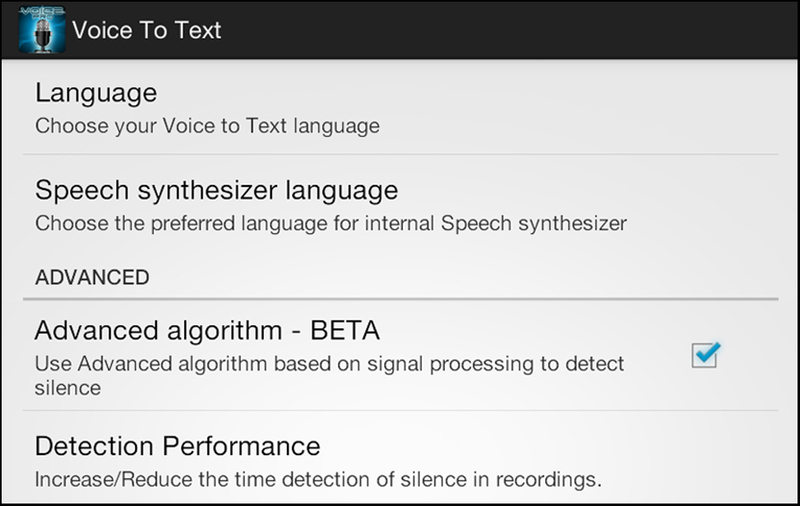 New MATLAB algorithms for Voice To Text.